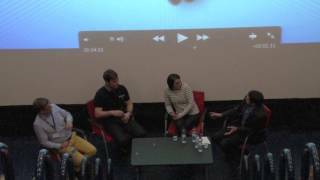 The 11th – 15th March 2013 was the week of Zoom Cymru’s International Young People’s Film Festival. In the 5 days of the festival, a number of events were held over South Wales, from Merthyr Tydfil to Penygraig and Cardiff. For those who does not know what Zoom is or what they do, well, listen up. 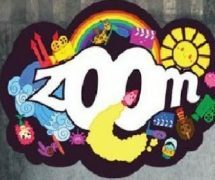 Zoom are a registered charity working with young people in the South Wales Valleys since 2006. 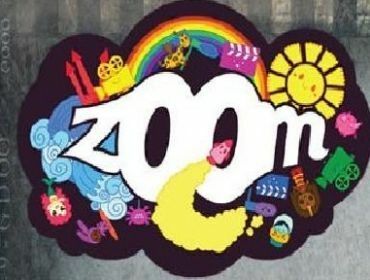 Zoom are the organisers of the International Young People’s Film Festival, which includes the Zoom Young Film-Maker Awards. 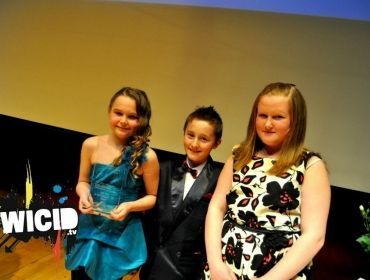 They provide a year-round film and media training programme, with a portfolio of workshops that they deliver throughout Wales, and also work with young people to gain filming skills and to also produce films and engage with over 2,000 young people each year through festivals and media training projects. Through their partnerships with media professionals, they are uniquely placed to deliver training and education in the media in Wales. On the opening night it was The Spirit of 95 theme at Merthyr Tydfil College where a number of young people attended and watched films in black and white and colour to get the experience of past and present times in the filming industry. On the third night of the film festival, WicidRhys, Livvyjayne96, gg95 and I attended a question and answer session with the star of the film A Bit of Tom Jones – Merthyr Tydfil born, Mr Jonny Owen – and the star of the film This is England and BAFTA-award winning actress, Miss Vicky McClure, at The Atrium in Cardiff. While we were at the session gg95 interviewed both Jonny Owen and Vicky McClure about their life in the acting and filming industry, which you can watch in the video clip attached to this article. On the final day of the festival, myself and WicidRhys attended the workshop day in Soar Chapel, Penygraig where young people from Bryncelynnog Comprehensive School and Treorchy Comprehensive School took part in Make a Film in a Day with Hugh from LilyPad films. After the workshop, it was time for the e3+ film showcase where young people, who attend their film making classes in their schools, showcase their films they have made in the last academic year. 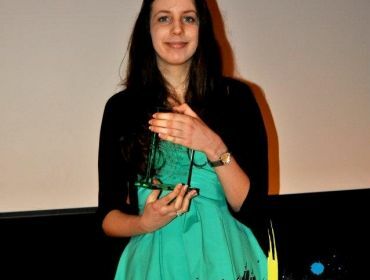 I had two films showcased that I have made with students from my school, and just for having your film shown in the showcase you receive a BAFTA-like trophy and a certificate of achievement from Zoom Cymru Director, Gemma Woolley. 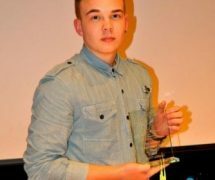 After the e3+ showcase, we all got prepared and ready for the main event of the week, which was the Young People’s Film-Makers Awards with a red-carpet, glossy suits and paparazzi. I got my camera ready as Wicid were the official photographers for the awards, then I took to the red carpet to grab some shots of the nominees and members of the audience and VIP’s arriving on the red carpet. 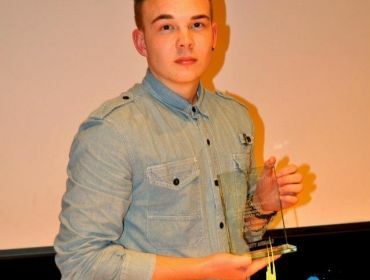 All nominees had a short clip of their film shown when it was their category’s turn, and whoever won in that category, the winning film was shown before the next award was given out. After the awards finished, there was an after party, which included a finger buffet and a networking session with other nominees and visitors to the event. While the after party was taking place Wicid grabbed an interview with the Chair of the Zoom Board, Mr John Geraint, and also one of the nominees for the Best Trailer category which was our very own Wicid editorial members, Peter Elliot and WelshSpud22, who had their film trailer called, Peter Elliott: The Movie shortlisted for the Best Trailer category. 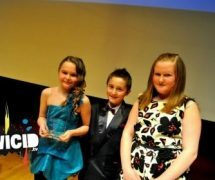 But, unfortunately, they didn’t win the award, but the best thing is that they got shortlisted to the final. All the interviews and Peter Elliot: The Movie can be found on our YouTube channel just by clicking the YouTube tab at the bottom of the page or by clicking here. Overall, I think this year’s festival was the best one since I have been attending the festivals. 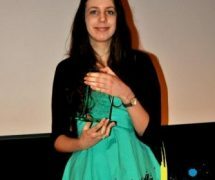 I would highly recommend young people to join their e3+ Film Making classes as you could be the next person to win an award at Wales’ Young People’s International Film Makers Awards. Below are some links to websites such as Zoom, Jonny Owen, Vicky Mcclure and the Atrium etc.